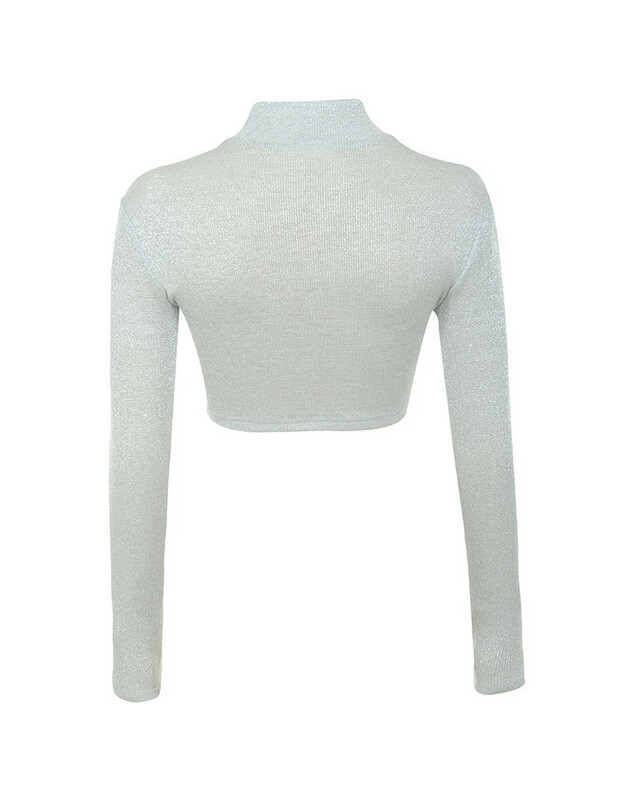 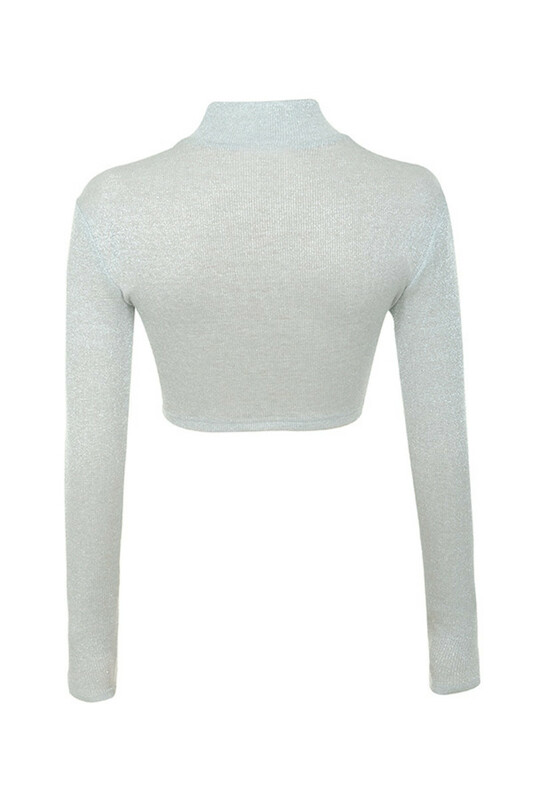 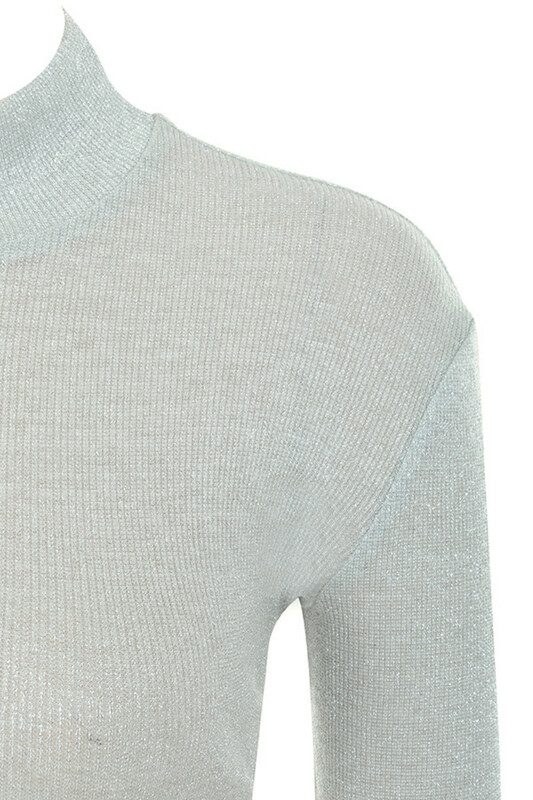 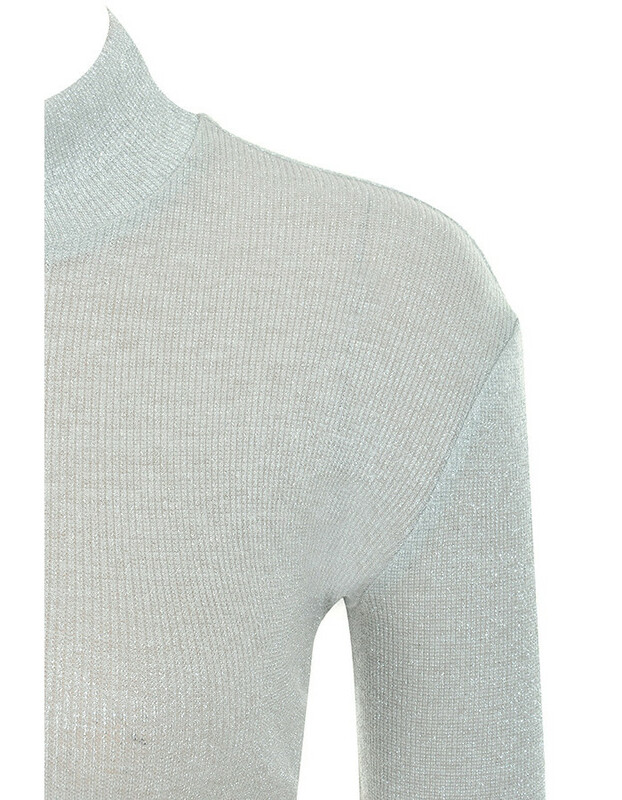 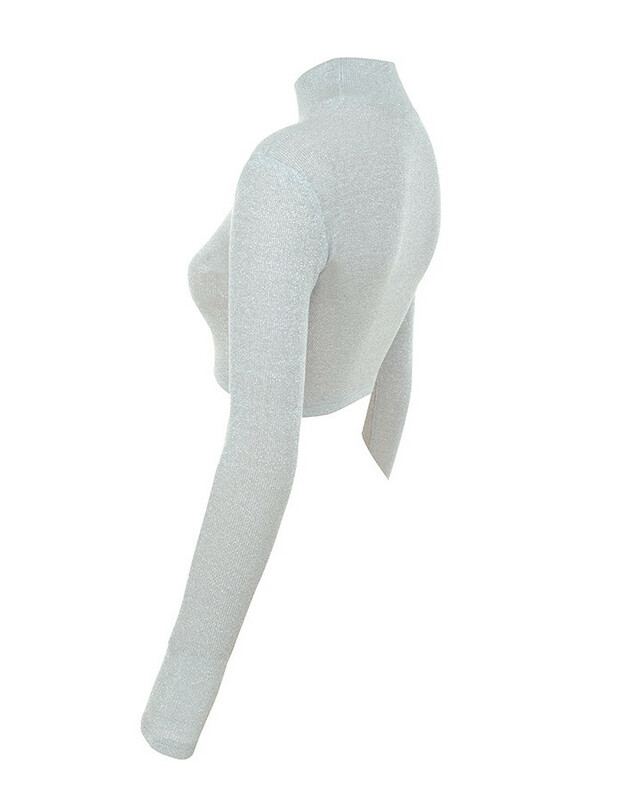 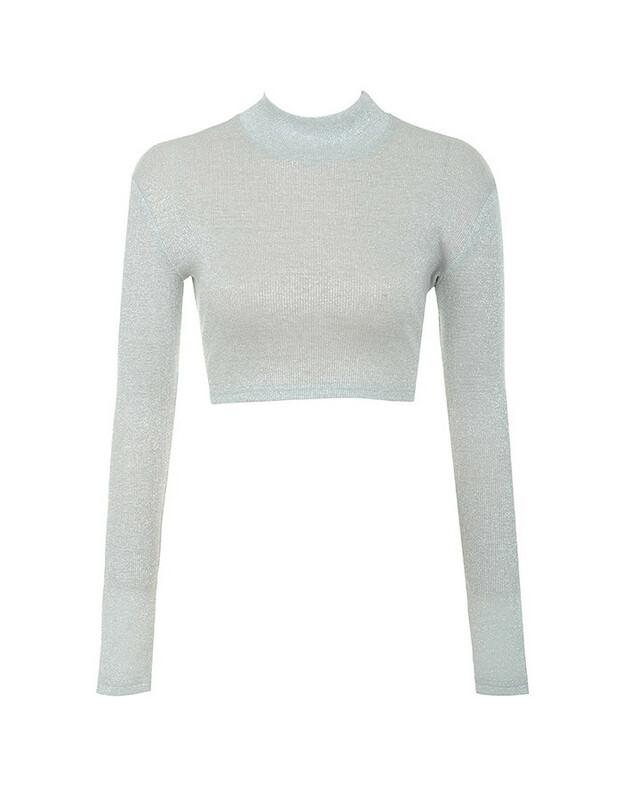 Stylish, cosy and versatile, 'Sway' is crafted from a soft silver lurex knit and features long sleeves, turtle neck and slightly cropped cut. 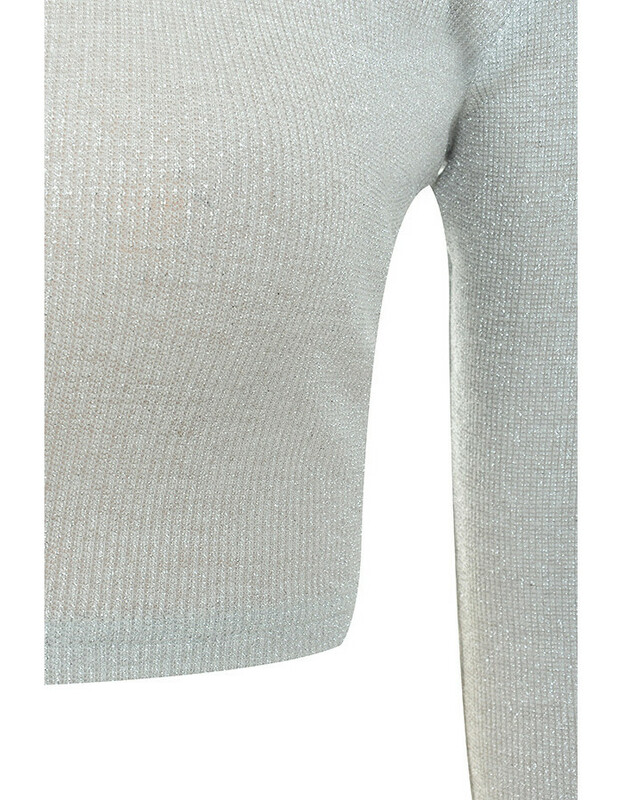 Wear yours over trackpants and boots as our designers intended. 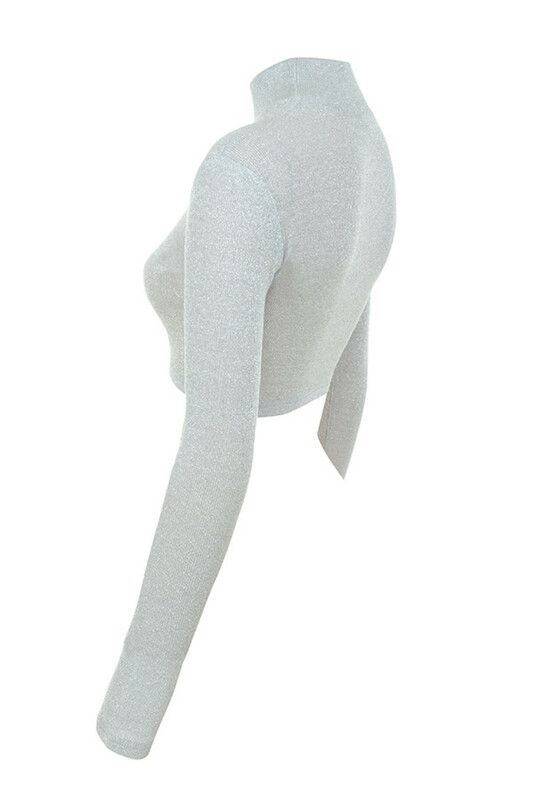 Made from stretch lurex fabric.